Great school leaders have great ideas. DeansList is designed to support them all. Get your whole school on the same page with a culture model that reinforces your schools values. Whether you focus on social-emotional learning (SEL) or positive behavior reinforcement (PBIS), everyone at your school can use the same system, the same language and work towards the same outcomes. With DeansList your rules for rewards, incentives and consequences are built right into the system. 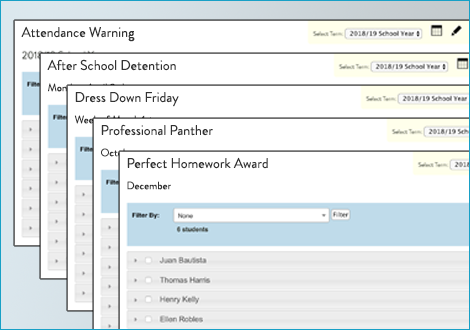 Tiers can scaffold up and down for MTSS or PBIS, and are calculated in real-time, so you can see every student's status at the click of a button. Alerts and digests proactively keep your team up-to-speed, even if they don't have time to login. Set them up based on what's most important for your school - like a digest that lets teachers know who was referred, or who had an outstanding day and should be congratulated. Behavior is just one piece of your culture system. 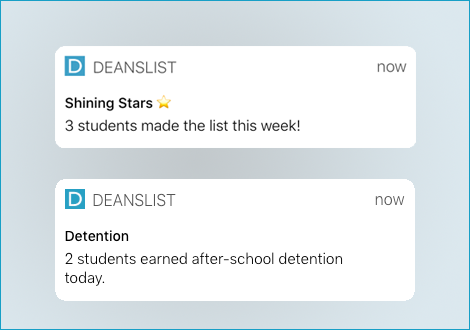 Since DeansList also tracks other critical components like attendance, homework, and office referrals, including them in your culture plans (points, incentives, etc.) is just a few clicks away. What do you want to make sure your families know? DeansList creates a custom report for every school, designed to be sent home as often as every week. Include grades, behavior, attendance, homework - it's up to you. 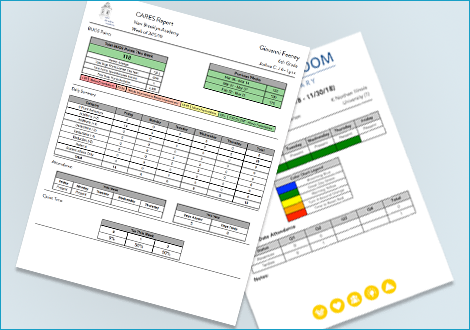 Presentation matters, and every report is thoughtfully designed to make sure data points are easy-to-interpret and that reports reflect your school's priorities, messaging/wording and aesthetics. Behavior Integrated. With DeansList, nothing lives in isolation. 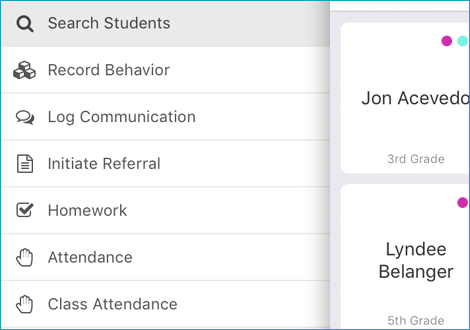 Include anything you track: attendance, homework, referrals, uniform, even data from your SIS can be turned into points or displayed on reports.